This travel blogger meme has been going on for some time and I’m finally getting my hands out on answering it. I’ve been tagged by brilliant travel bloggers – Jade & James of OurOyster.com and Tom of Waegook Tom. My first international trip was to the US when I was 14. It was a 50-day trip jumping from San Francisco then to Houston. After, we headed to New York, Washington DC and Orlando in Florida. A whirlwind trip with the family but I got a good taste of what travel entails. I got to see snow for the first time (for a Filipino it was MUST) and also travel to ground zero a few months after the September 11 attacks. And as for beer types, definitely Houblon Chouffe, Delirium Tremens, Duvel and Triple Westmalle tops my list. Vietnamese cuisine. I spent most of my days in Ho Chi Minh enjoying Vietnamese street food. Who would have thought that you’ll find baguettes in Southeast Asia? They manage to achieve a fusion of Asian & Western delicacies. I will go back there simply for the food! Favourite: Amsterdam. The city has a great vibe, interesting history and active nightlife. And of course, the canals and architecture are beautiful. I’ve been there five times and don’t mind coming back again! 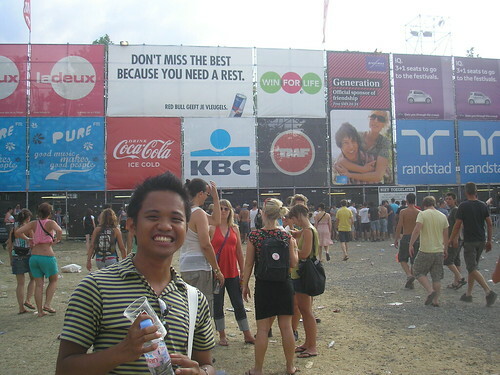 Music festivals in Europe particularly my first one – Rock Werchter in 2009. I didn’t expect that I’ll get to see Coldplay, The Killers, Bloc Party and Jason Mraz in one night! In Asia, it’s rare for a foreign band to visit so seeing three of your favourite bands in one night was a shocker. Trains – comfortable, cheap and convenient. The feeling that you are now on a place that before you only see on postcards, television or in movies. It’s the thought that you are really in this place always stands out. Morocco. It was the beginning of summer when I went there in 2009. I remember carrying a litre of water everytime we had to go out. And there are no beers around and that didn’t help out relieving our cool feeling. 😉 Good thing there were orange juices everywhere to keep us feeling sweet and hydrated. From Happy Guest House in Siem Reap, Cambodia. 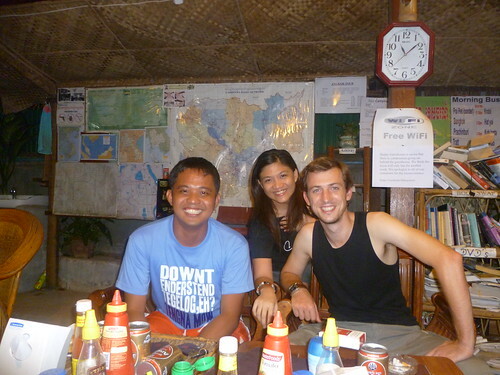 The family managing the place was really friendly and takes care of their guests as if we are part of the family. The best bonus was we got to stay and got free airport pick-up, bicycle rentals, wifi, towels and bottled water – all for 3 USD a night! Aside from 20 hours trans-continental flights, the longest and also the most painful journey I did was with a bus ride from Berlin to Brussels. It was supposed to be an 8-hour trip but turned into 23 hours because of the heavy snow! The bus ride was very uncomfortable – Toilets were clogged, chairs were small and the driver hardly stopped for toilet or eating breaks. Never going to do that again! Atomium in Brussels, Belgium. We had to pay 13€ to go inside, but apart from cool escalators – it really has nothing to offer. The view from the top was quite disappointing. When I first moved into Belgium, I fell in love with travelling and living abroad. I didn’t imagine that I’ll be able to make really good friends with people from almost all corners of the world. It made me proud of who I am and also made me realise that there’s a world out there waiting to be explored. Marriott Hotel in Champs-Elysees in Paris. I didn’t pay for it, thank God, but the idea that we stayed right in the main street of Paris was pretty convenient and fancy. Jumping photos – I have loads of photos everywhere. I can create a big folder from my travel photos with simply jumping photos. I’m not counting but I know that I’m now almost halfway through my passport. Cu Chi tunnels in Vietnam. You get to be inducted to the Viet Kong idealogy, show you some deadly traps, drag you under the tunnels, hike through the jungle then finally give you an option to fire a rifle! It’s one of the most unique experiences I had on my travels. Angkor Wat. It’s hard to imagine that it was once a thriving civilisation – but it’s grandeur was simply breathtaking. It’s a nice reminder that you only live once and it’s up to yourself have to take the most out of it. Experiences , whether it’s shooting rifles, swimming with whale sharks, crossing ziplines etc – it’s those experiences that you’ll remember on your travels. 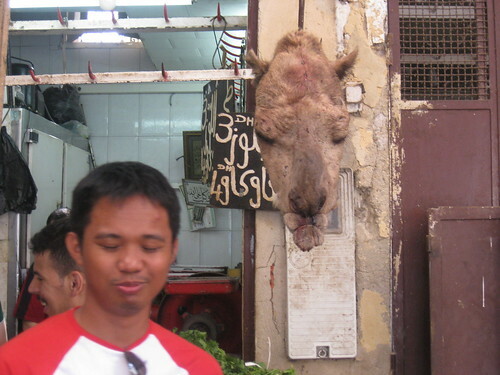 So I don’t care if I had to eat street food all the time or fly low cost, as long as I know that in exchange I’ll get a rewarding experience, it’s fine! Climbing up the Eiffel Tower. We queued for 2 hours to start with, then queued some more to go up the tower peak. Ended up losing a day just on that. Hahahaha. First, when I went swimming with the whale sharks in Donsol, the Philippines. The opportunity to see wild life up close (and not just any wildlife but bus size fishes!) was both a memorable and humbling experience. 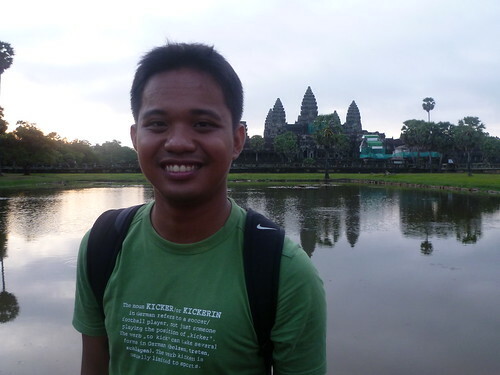 El Nido – the town is right smack in front of limestone cliffs. A world wonder no doubt. Not really a big sports person, but I’m a supporter of the Holland National Football team and also of tennis’ Novak Djokovic. Vietnamese food are my favorite too. I ate pho every meal when i went there and scouted Pham Ngu Lao for street food, they’re cheap and delicious.. I love baguettes so much too! Yep, though I’m not a picky eater so as long as it’s delicious it’s fine! 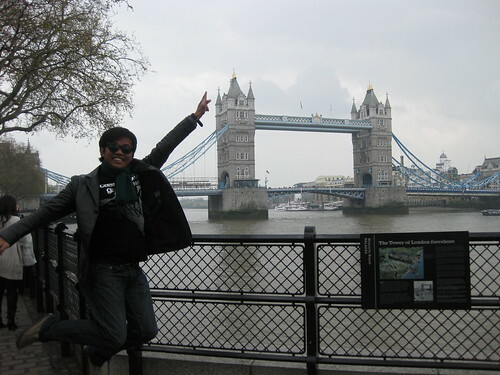 I also agree that jumping photos are a must for every destination hehe. Loved this! Always like hostel recommendations! I never got to Vietnam in South East Asia, so keen for the food. 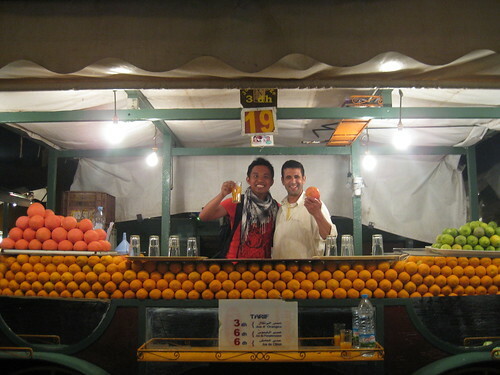 Laos was like that, an amazing mix of French and Asian food, so incredible! Thanks, that hostel was one of my favourites from all that I stayed in. Definitely worth more than the 3USD per night that I spent! Great post Jerrick, glad to see your ABCs! Although I have to disagree, Czech beer is the best. 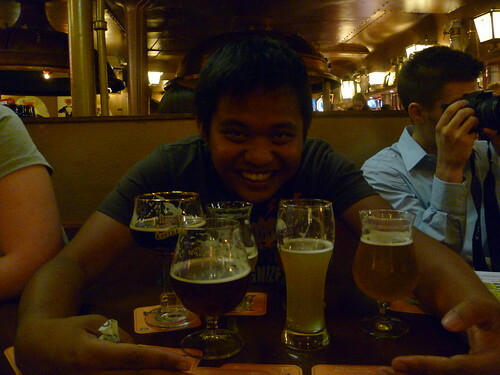 Then again I was 10 when I went to Belgium, so I didn’t sample any beer there! Hahaha, I bet you a pint that you’ll like Belgian beers. Your welcome anytime to head over for a visit!